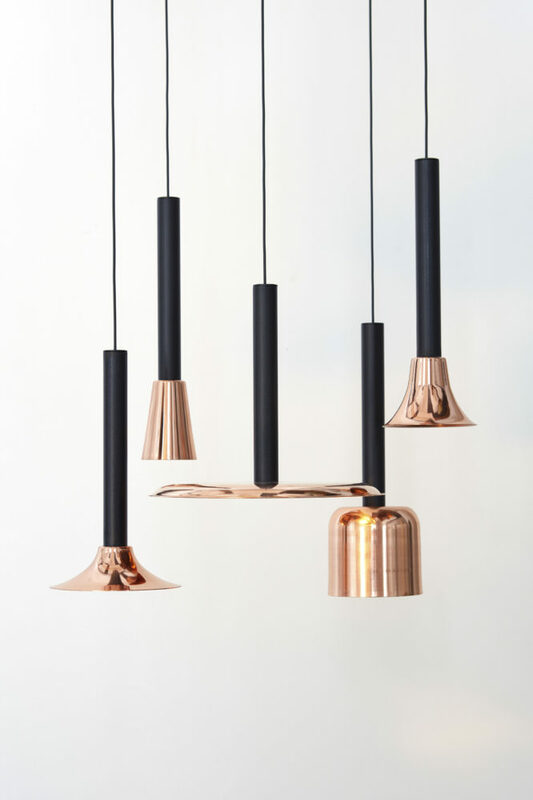 Slim and Slim Long Copper lamps Supplement for an already existing series of lamps. The lamps have an LED light source with three choices of optics and four choices of light temperature. 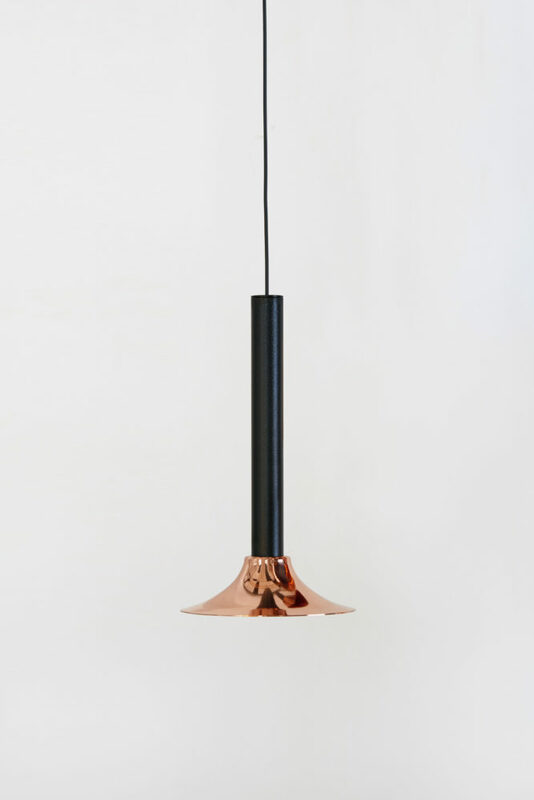 The lamps can be ordered with a power supply integrated into the ceiling rosette or can be ordered in a 350mA version. 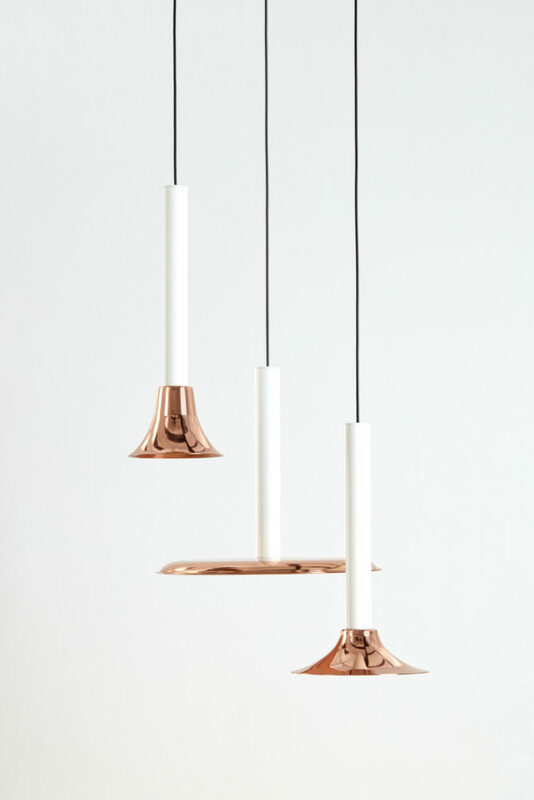 The lamps come in black or white,with copper shades , but can be made in any other colour upon request. 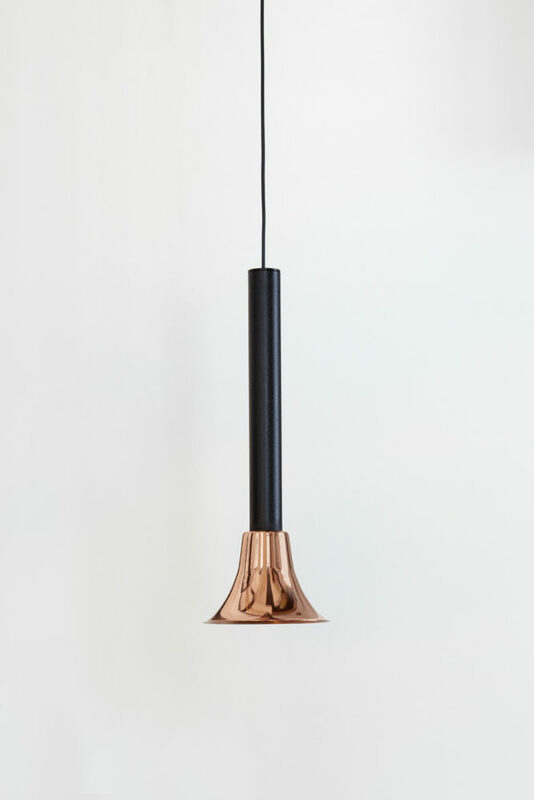 This lamp comes with a 2,8mm cable in black.